The first iteration of the new 2.3 EcoBoost was introduced today by Lincoln. This is the first peak at the engine that will be offered in the 2015 Mustang. There is some significant work here in the cylinder head and exhaust port, including new valves. And a dual-scroll turbo. All to further reduce what tiny turbo lag is left.. if you can even call it that. There are significant advantages here over a naturally aspirated engine. The torque curve for the new engine is very broad and flat, without peaks. More inside. We continue to wait for 2015 Mustang news while the talented artists of Mustang6G continue to show us preview renderings of the 2015 Mustang S550 model. Our favorite current image is this white 2015 Mustang, wearing 19 inch wheels (to preserve a factory look), red Brembo brakes and featuring some beefy quarter panel hips. Here is another shot of the 2015 Mustang interior, including a close-up look of the information screen which sits between the speedo and tach gauges and showing a boost gauge [See Photos] which confirms what we already suspected from the 6500RPM redline — this here is the interior of the 2.3L 4-cylinder EcoBoost Mustang. Also seen is confirmation that the center console will feature the toggle switches first spotted a few weeks back. Great touch! And we’re really liking the deep concave design of the steering wheel, even with its liberal inclusion of buttons. Overall, the interior is shaping up to be a significant upgrade from the s197 model’s interior. Have a gander at the newest preview CGIs by our site members chazcron and jjw, showing us what the s550 Mustang may look like from the rear 3/4 view. See other angles and pics INSIDE. 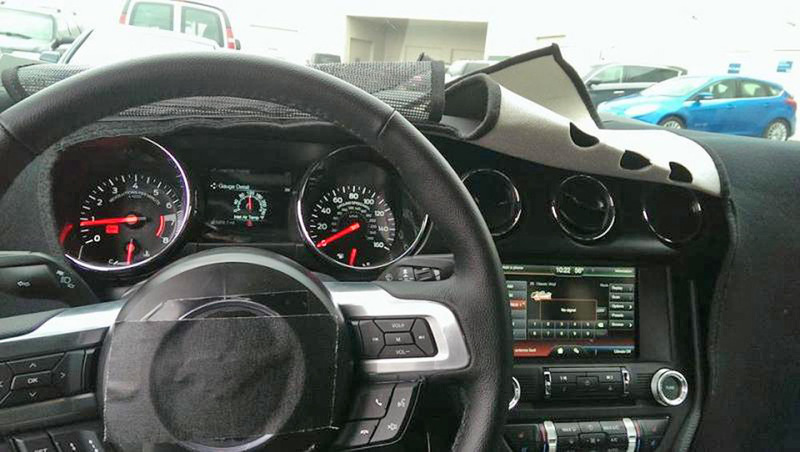 We previously showed you some very revealing shots of the 2015 Mustang’s interior (see pics), but the gauges remained covered… until now (see new interior spy photo). 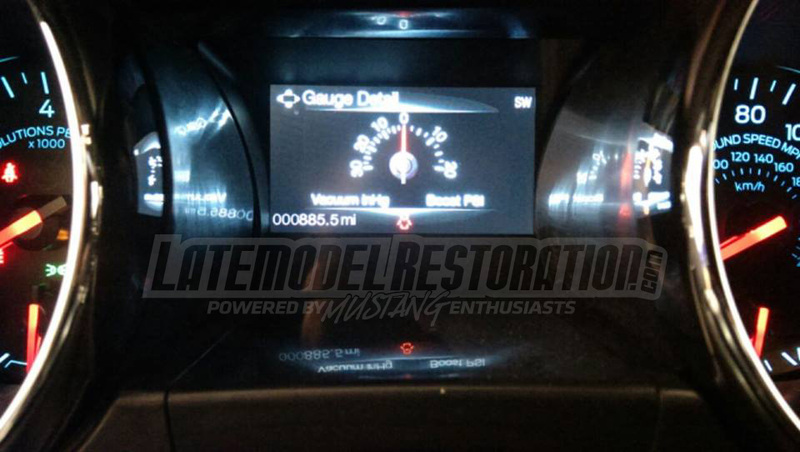 This new photo now clearly shows the gauges and air vents designs of the 2015 Mustang (this is the ecoboost turbo 4 cylinder model). The gauges retain the general look and feel of the current Mustang, but the center console vents represents a big departure – with its 3 ringed vent look. Beyond that, the center console looks to be a more production-level form from the previously spied interior, and while the photo cuts off above the flip switches, our hunch is that those will make production. See the new interior spy photo and join the discussions INSIDE. 2015 Ford Mustang (S550) 3D Render in Dark Highland Green! 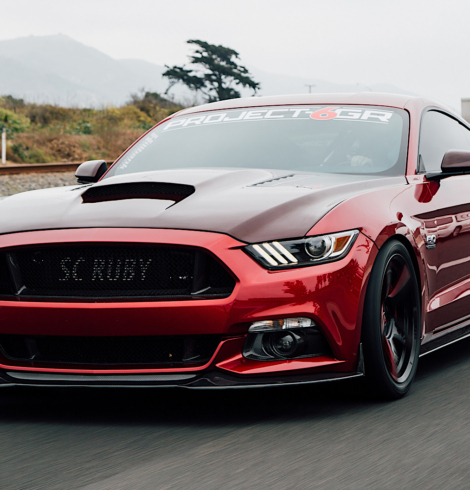 The frequent updates provided by the incredible talent of Mustang6G members, chazcron, jjw and Rampant, have been offering (for months now) Mustang fans in our community and across the web a glimpse into the possibilities for the 6th generation Mustang – whether it be different trims, special edition versions, aftermarket kits, or in this case, popular colors! We owe all of them a big thank you and thumbs up for all the hard work. We look forward to seeing more! 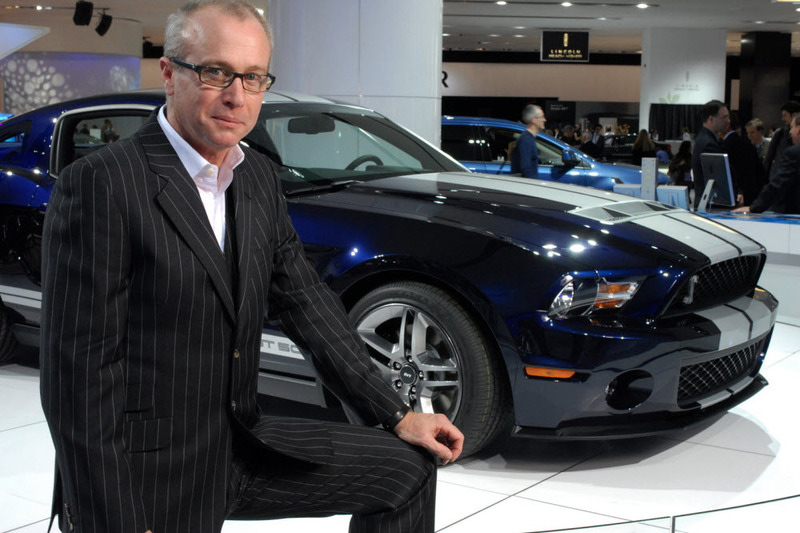 Ford Motor Company today announced the retirement of J Mays, the Dearborn company’s Group Vice President of Global Design and Chief Creative Officer. 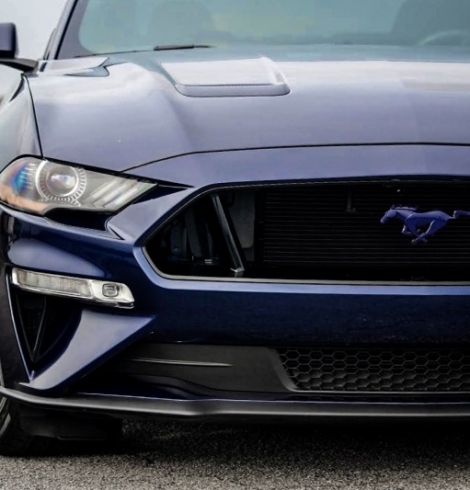 While there is no doubt that Mays’s design fingerprints will be all over the 2015 Mustang and beyond, his indelible mark on automotive design premeated throughout not only Ford’s vehicles in the 16 years he has been with the company, but also influenced the entire automotive industry. brought together one of the most talented design teams in the business. Mays’s large shoes will be filled by Moray Callum who is currently Design Director for Ford’s North American brand passenger cars, and the younger brother of the reputed Ian Callum, Design Director of Jaguar. For more, join the discussion INSIDE. If you think you’ve seen a photo-realistic digital preview image of the 2015 Mustang, we bet it hasn’t been as real-to-life as this latest CGI by Mustang6G member jjw, based on the fine modeling work of fellow member chazcron. Look for more updates and views soon and see the full high-resolution image INSIDE. 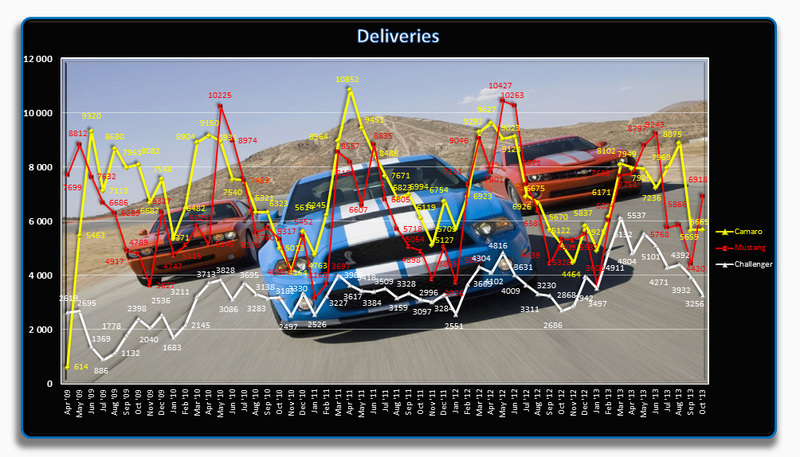 The Mustang wrestled back the sales crown for the month of October 2013, outselling both the Camaro and Challenger. The Mustang sold 6,918 units compared to the Camaro’s 5,669 and Challenger’s 3,256. Check out the sales charts and graphs inside. 2015 Mustang Standard Headlights – HIDs or Halogens? 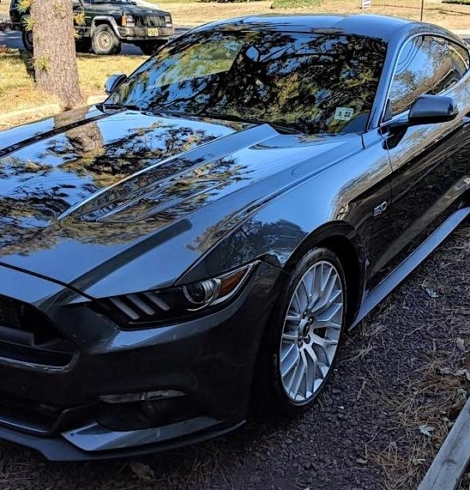 A recent debate among Mustang6G members has been whether the 2015 Ford Mustang will continue to receive standard HID headlights across the entire lineup. The first sign that we may see at least one trim revert back to standard halogen headlights was hinted in the first S550 full prototype spy pictures we showed you back in June. A recently leaked survey commissioned by Ford further added to this speculation, which listed halogen projectors as standard equipment in the 2015 base Mustang with a starting price of $23,995. Several informed Mustang6G members have backed up this claim. Will the 2015 Mustang continue the trend of standard HIDs across the entire lineup established by the 2013-14 Mustang or will it hit the reset button? Tell us what you think.